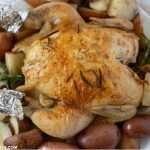 If you love moist and tender Rosemary Chicken you should try this Crock Pot Rosemary Chicken recipe. Chicken crock pot recipes always turn out tender and delicious. 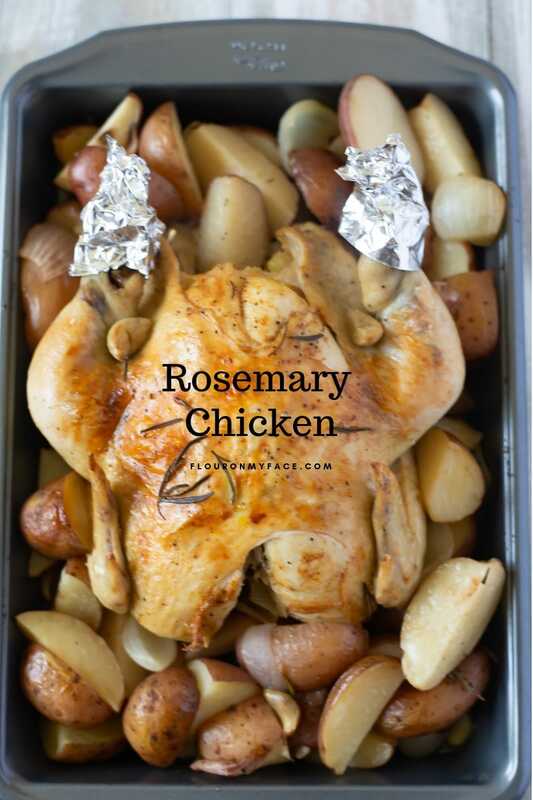 I’m sharing a bunch of tips today for cooking rosemary chicken in the crock pot. How long does it take to cook chicken on high in a crock pot? It takes 3 to 4 hours to cook a whole chicken in a crock pot on high. If you want to cook a whole chicken in a crock pot on low it will take 7 to 8 hours for the whole chicken to cook thoroughly. Do You Need Fresh Rosemary to make Rosemary Chicken? 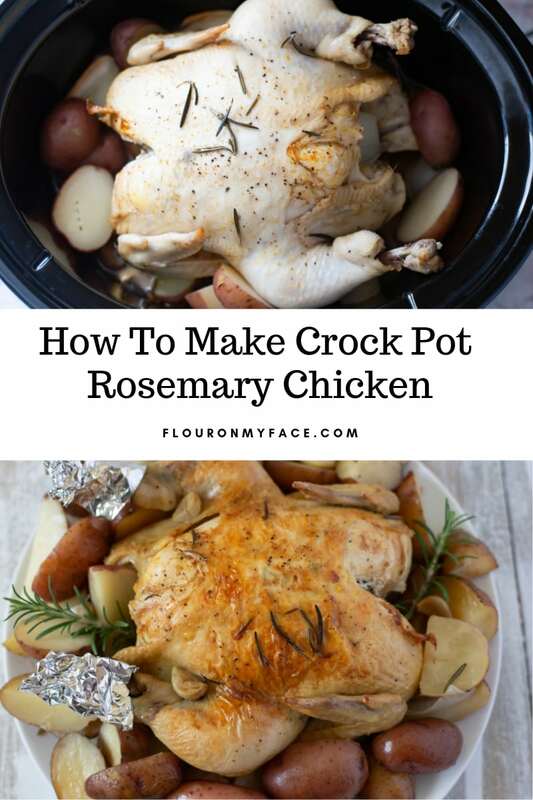 If it came right down to it no you don’t need fresh rosemary to make this crock pot rosemary chicken but dried rosemary is just that – a dried up version of a wonderfully aromatic herb that tastes so much better when fresh. I have a lovely 3-foot tall rosemary bush growing in my container herb garden. I happen to live in Florida where I can grow fresh herbs all year long. Fresh herbs are amazing. Not only because any time I need fresh herbs I can walk right outside my back door and harvest just the right amount I need for whatever recipe I am cooking. Growing fresh rosemary or any other herbs is glorious. I love the scent of fresh rosemary and any time I am out there near my rosemary plant I run my hand across the stems so I can enjoy the scent. If you can I highly recommend growing your own herbs. Whole chicken cooked in the crock pot always cooks to tender perfection. 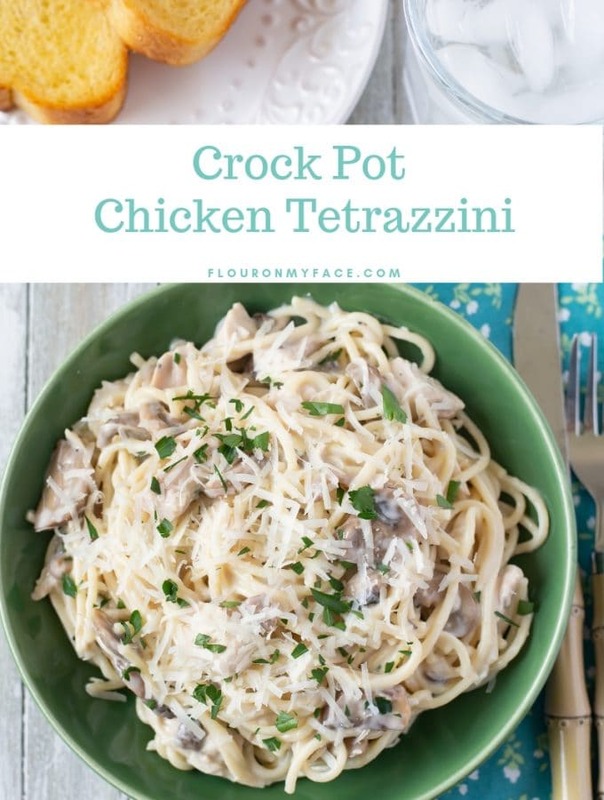 The enclose crock pot traps all the moisture inside the crock pot and whatever herbs or spices you are cooking with will infuse the tender chicken meat with its flavors. Crock Pot Rosemary Chicken is cooked with rosemary, onions, garlic, salt, pepper, and paprika. Each bite of this Rosemary Chicken has all of those flavors infused into the meat. I’ve added chicken broth and white cooking wine to the crock pot. The white cooking wine adds an indescribably amazing flavor to the whole chicken. I can’t even begin to describe the flavor. You would think that cooking wine would add the flavor of white wine to the dish. But to me, it doesn’t taste at all like wine. I first discovered the amazing flavor powers of white cooking wine when I made my Crock Pot Crustless Chicken Pot Pie recipe. It is a copycat Atkins recipe and when I read the ingredients on the Atkins box it listed cooking wine. So I came up with my own version of the crustless chicken pot pie recipe after a few attempts without the cooking wine I quickly learn just how much amazing flavor a small amount of cooking wine can make to a chicken recipe. Seriously, folks, you have got to try it. 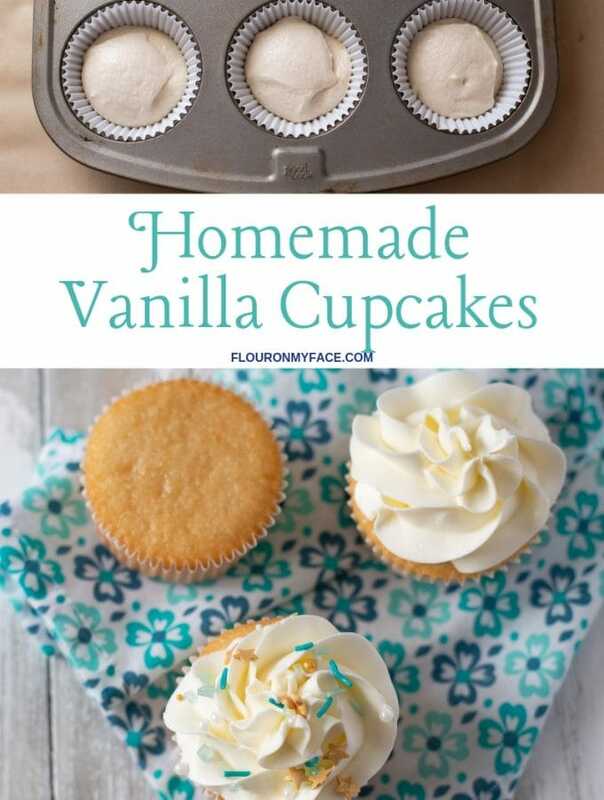 I promise you will thank me. As I mentioned crock pot rosemary chicken is delicious. The chicken meat is moist and tender. The flavors of rosemary, onion, garlic and white cooking wine have infused each morsel of the chicken meat. But even though the crock pot whole chicken is cooked to perfection the chicken skin is pale and unappetizing when you look at it. Blah pale chicken skin might just start a chain reaction at the dinner table when you have picky eaters in the house. You know what I am talking about. Someone in the family isn’t going to want to eat that ugly chicken no matter how good it actually tastes. I’ve got a couple of kids like that. One of them even refused to eat food if it wasn’t “pretty”. 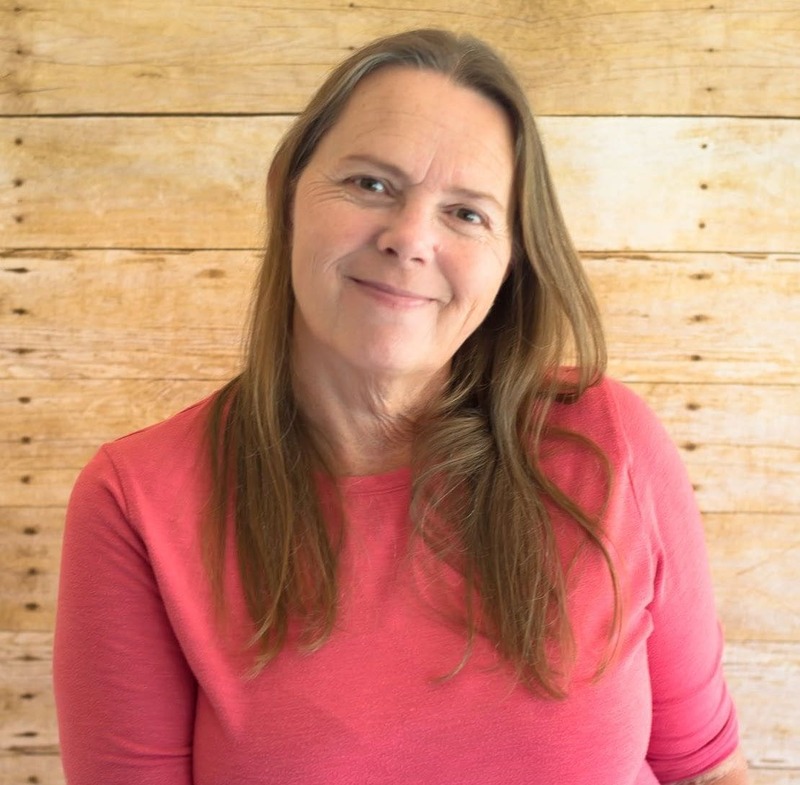 I’m not going to name names……. The easiest and fastest way to get golden brown chicken skin when you cook a whole chicken in a crock pot is to put that bird under the broiler. 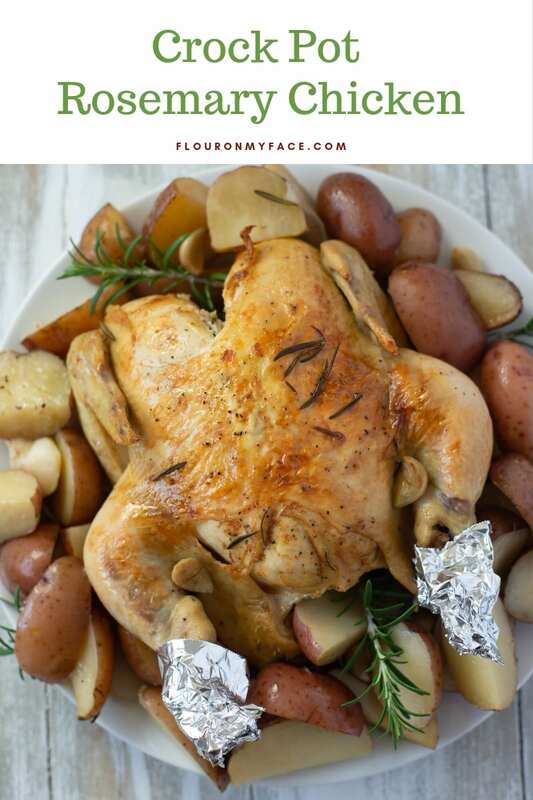 Transfer the cooked rosemary chicken and potatoes to a roasting pan or a sheet pan and brown the skin under the broiler for 5 to 10 minutes at 475 F. degrees. 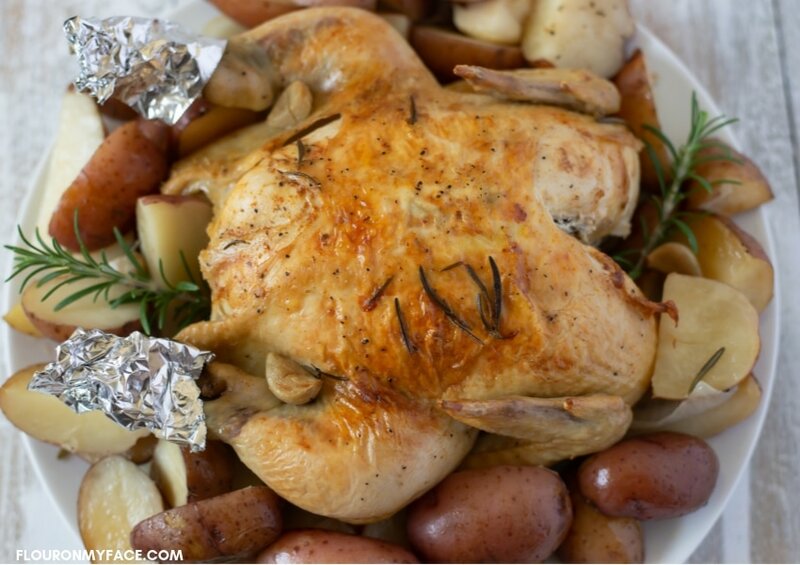 Moist and tender Crock Pot Rosemary Chicken made with baby red potatoes, fresh rosemary, red potatoes, onion and garlic made is a delicious way to cook a whole chicken in the crock pot. Rinse and cut the potatoes into quarters. Place 3/4 of the onion quarters, 6 garlic cloves and 1 or 2 sprigs of rosemary (depends on how large the sprigs are) arranged over the potatoes in the crock pot. Pour the chicken stock and the cooking wine into the crock pot. Remove the neck and gizzards from the cavity of the chicken and discard. Rinse the whole chicken and pat dry with paper towels. Sprinkle the bird with paprika and rub over the entire chicken. Wash hands well with soap and hot water after touching uncooked poultry! Put the remaining onions quarters and rosemary sprigs into the cavity of the chicken. Place the chicken in the crock pot on top of the potatoes. Place the lid on the crock pot and cook on high for 4 to 4 1/2 hours or until the internal temperature of the chicken has reached 165 F. or higher. Carefully transfer the chicken and vegetables to a roasting pan. 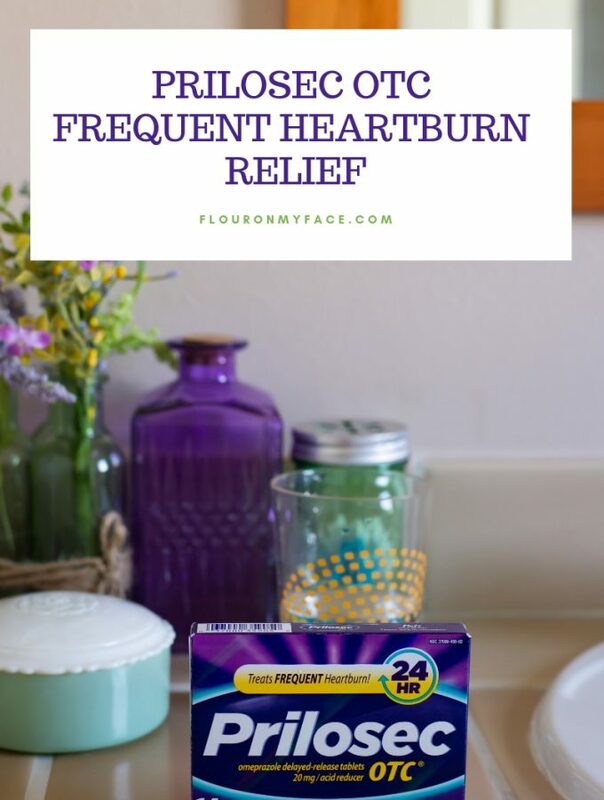 Preheat the oven on the broiler setting to 475 F. degrees. Place the roasting pan in the oven and brown the chicken for about 5 minutes. Turn the roasting pan and brown for another 5 minutes or until the chicken skin is a golden brown. Carefully remove the roasting pan from the oven. Carve the chicken and serve right from the roasting pan. 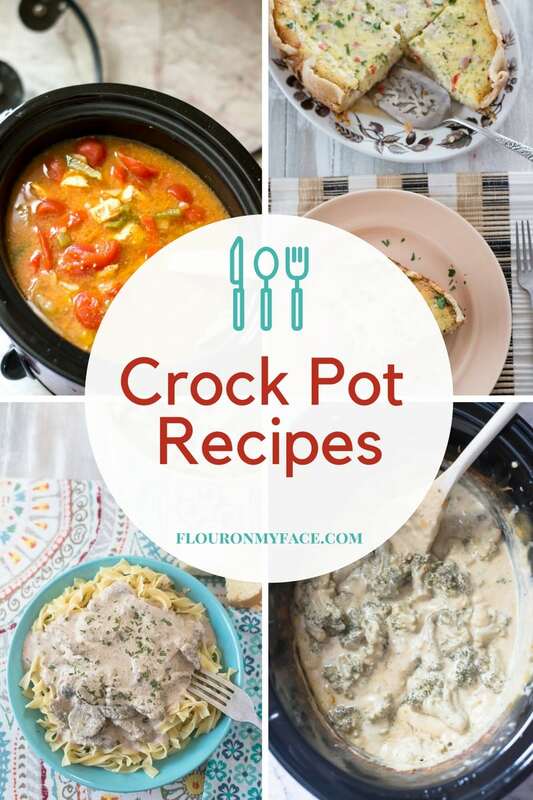 Looking for a few more Crock Pot Chicken recipes? 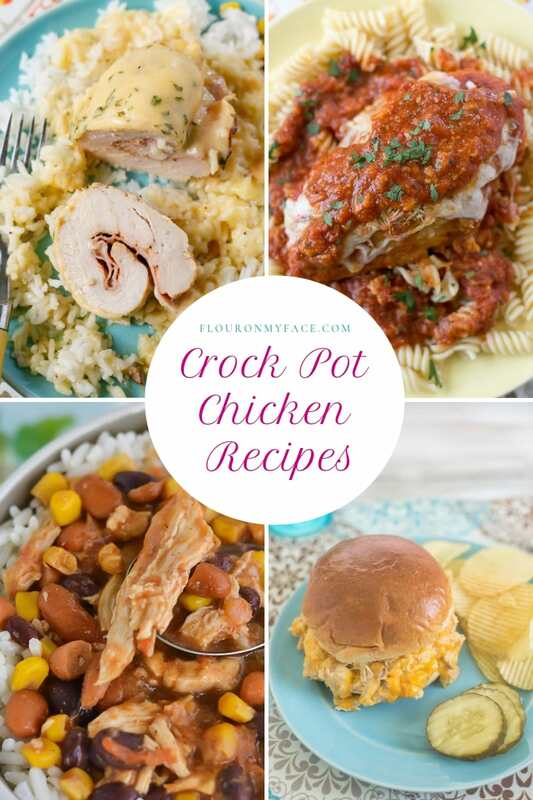 Check out my Crock Pot Chicken recipes page where you’ll find all of my crock pot chicken recipes. 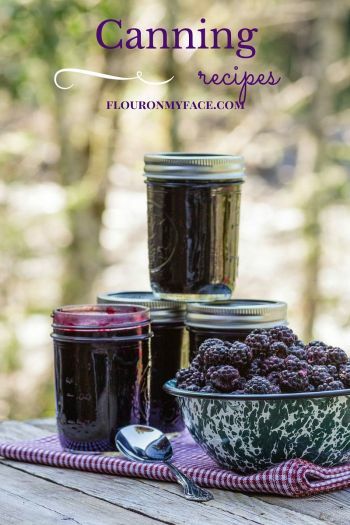 You can find all of my other crock pot recipes on my Crock Pot Recipes page. 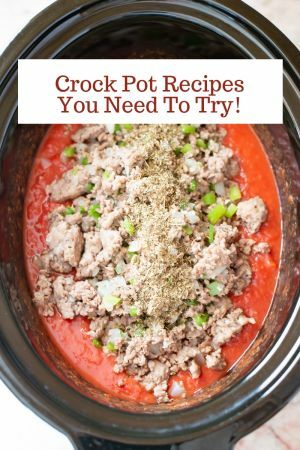 I have shared over 200 easy crock pot recipes over the years!